Following Ed Miliband's fall-out with trade unions and the vote-rigging accusations, the public is concerned about unions' political influence and sees them as increasingly irrelevant to modern society. The public believes trade unions have too much influence over the Labour Party, but is more concerned about the impact of international business on the political process, according to new research. 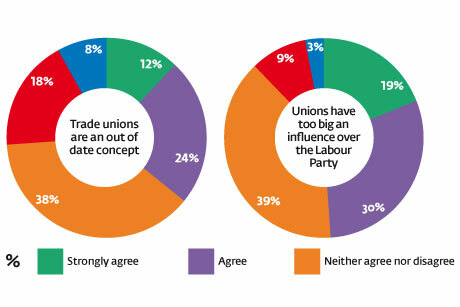 The latest PRWeek/OnePoll survey found that 49 per cent of respondents either agreed (30 per cent) or strongly agreed (19 per cent) that trade unions had too big an influence over the Labour Party. The survey comes as Labour leader Ed Miliband tries to renegotiate the Labour Party's relationship with trade unions. The results make better reading for Miliband - 50 per cent of respondents believed he was right to attempt to reduce the power of unions within Labour and only 21 per cent believed trade unions had a bigger influence on Miliband than other recent Labour leaders, with 34 per cent disagreeing. 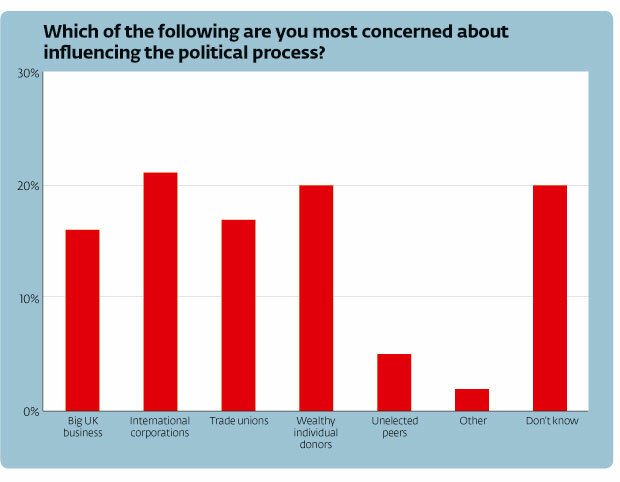 Respondents were most concerned about international corporations (21 per cent) and wealthy individual donors (20 per cent) influencing the political process, compared with trade unions at 17 per cent and big UK business at 16 per cent. But union leadership will be concerned at what respondents saw as a growing irrelevance of unions to modern society and a lack of understanding of what unions do. 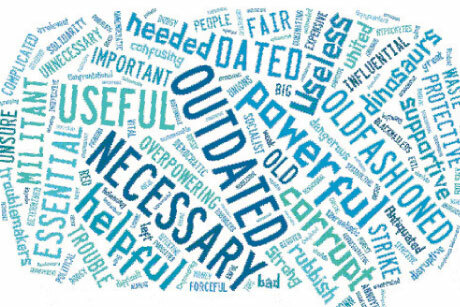 Forty-six per cent said trade unions were less relevant than they used to be, with only nine per cent believing they were more relevant. Only 35 per cent believed trade unions were a force for good in society, and 71 per cent said they would not consider joining a union. PRWeek's research won't make easy reading for the union leadership. 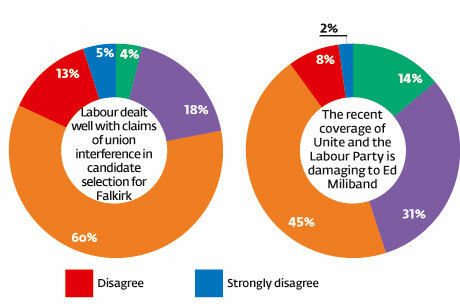 On party reform, it seems the public sided more with Ed Miliband than Unite. Almost half saw the unions as having too much influence over the Labour Party and a majority backed Miliband's attempts to reduce their power. The row has been damaging for all involved, though the public still does not see unions as the biggest threat to the political process. The poll also points to longer-term problems, not with unions' influence but their relevance. Seven in ten respondents said they wouldn't consider joining a trade union. Many saw them as out of date. While a third saw unions as a force for good, just as many didn't know. People are lacking a clear sense of the positive role unions can play in society. Whatever the fallout from this political row, the data suggests the main challenges for unions lie beyond Westminster.